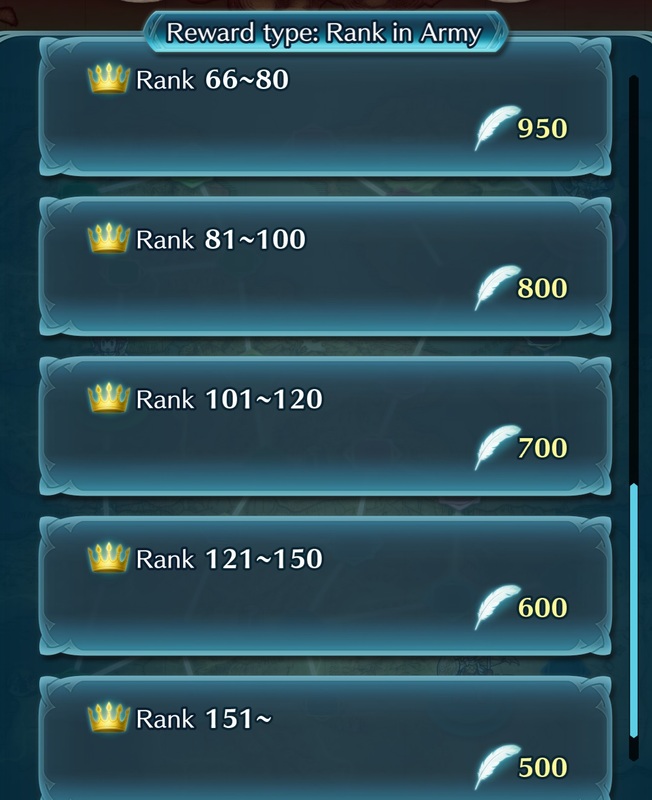 The more battles you take part in, the more points you get, which then allows you to move up the GC Tiers. 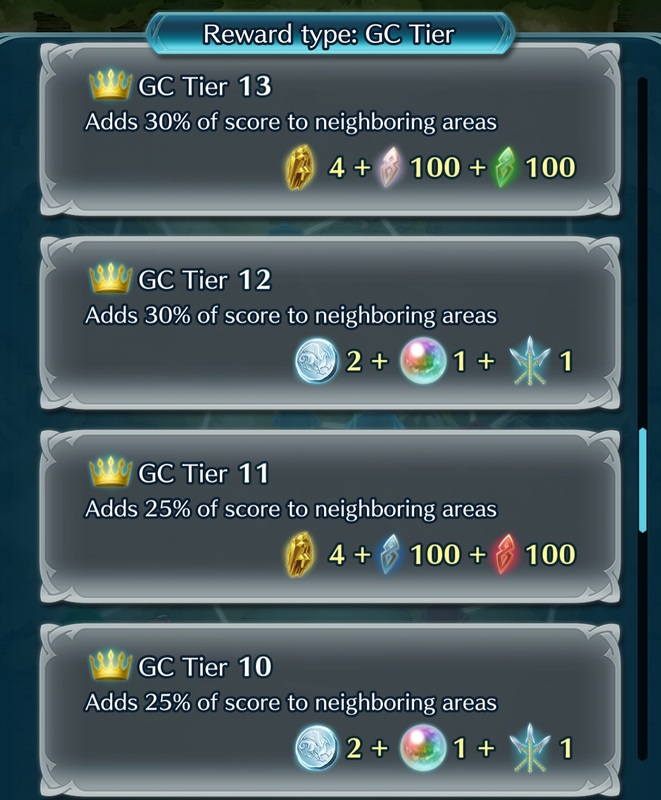 Once you reach a specific GC Tier, you get some rewards: bonus Orbs, Refining Stones, and more. 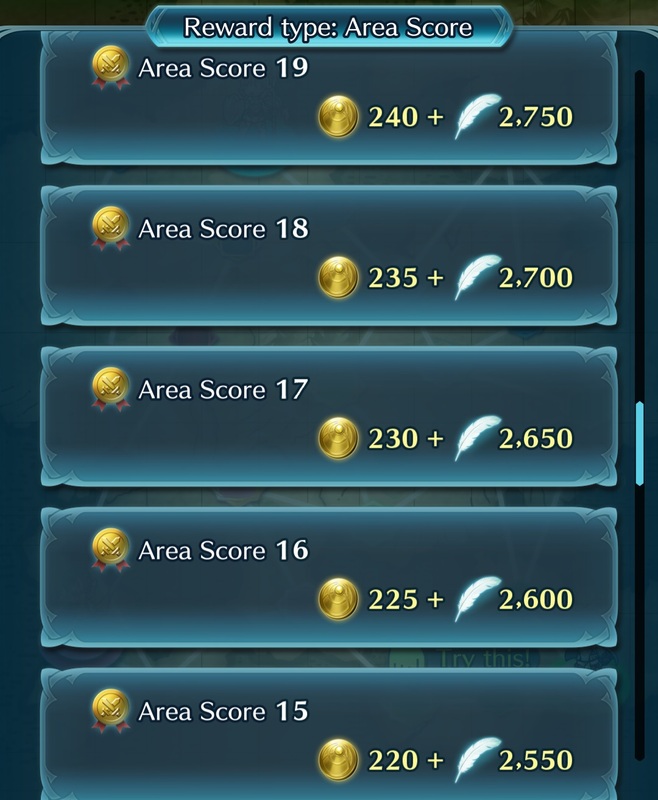 You also get a special bonus that will help your army get more points. There’s 25 tiers in total, and they do not reset between each Battle. 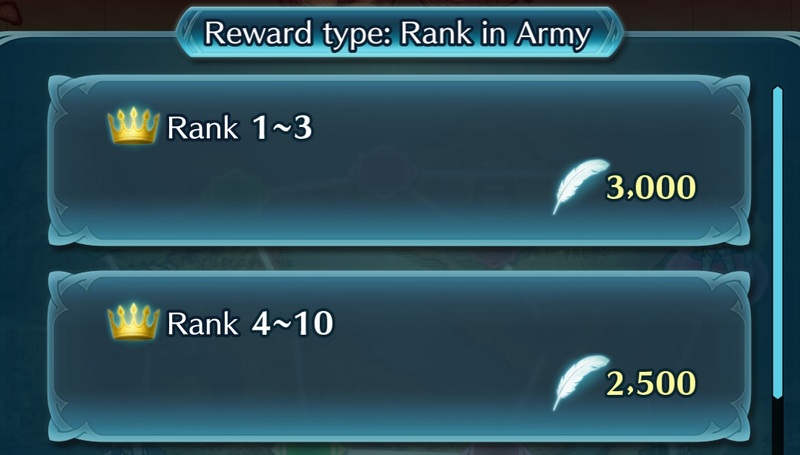 Tier 4 and 8 unlock Lunatic and Infernal modes, respectively. 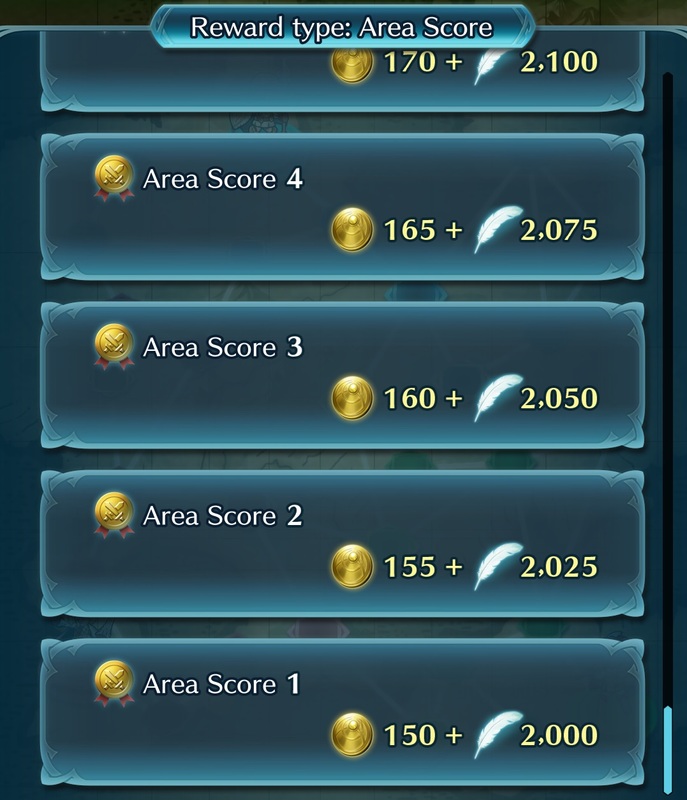 You also get rewards at the end of each Battle, based on the number of Areas your Army has conquered. 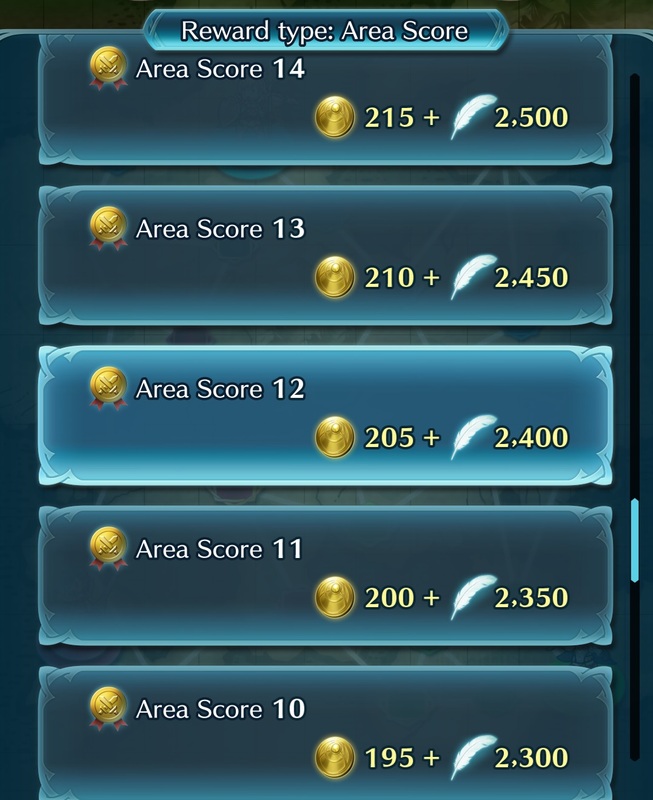 You can get Hero Feathers, Sacred Coins, and Arena Medals. Simply head over to “Check Rewards” to find them! 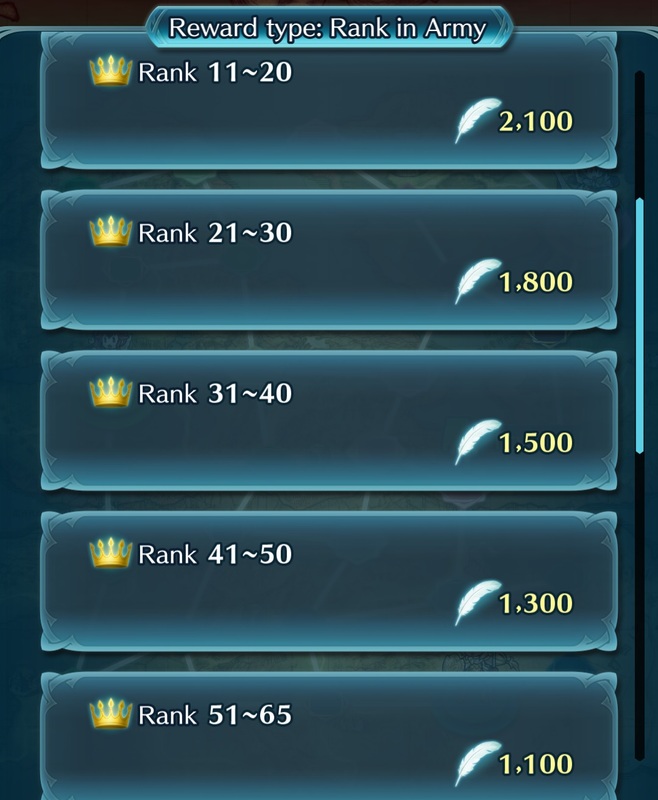 But that’s not all: there’s now a Rank in Army learderboard, and you can get rewards based on your rank at the end of each battle. 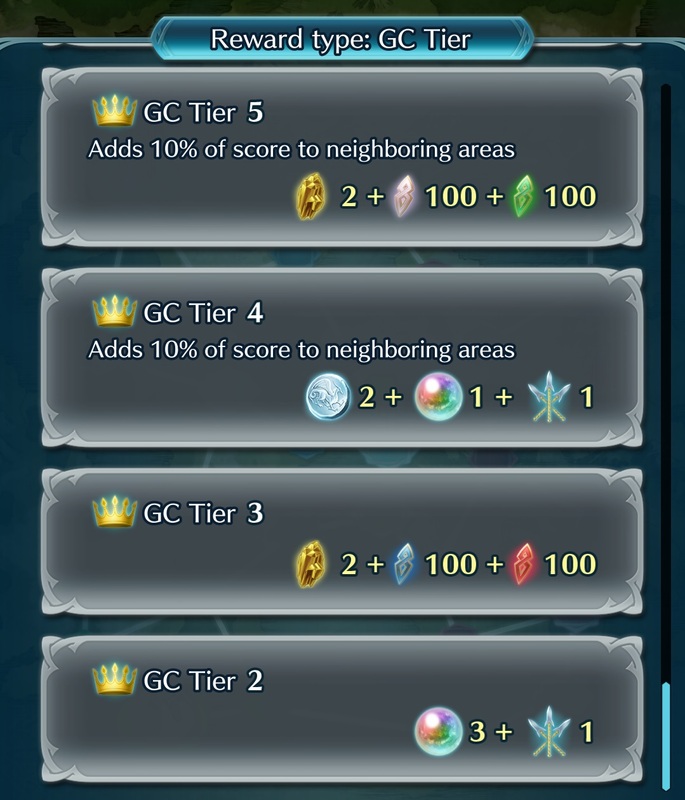 Finally, there’s also Grand Conquests Quests to tackle, in order to earn Orbs, Universal Shards, and Hero Feathers. 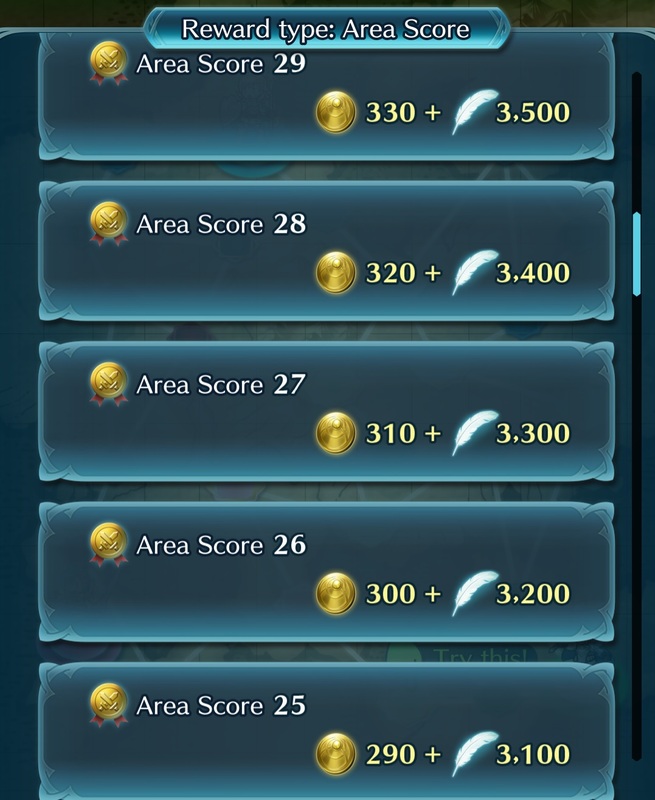 Each Battle has its own set of Quests, and you can find more details about those on the Events and Content Updates page! Fire Emblem Heroes – Grand Conquests – What is it? 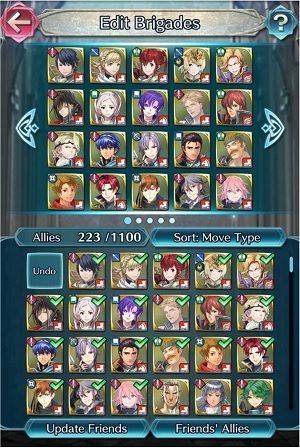 You can access Grand Conquests from the Home Menu > Battle > Events > Grand Conquests. 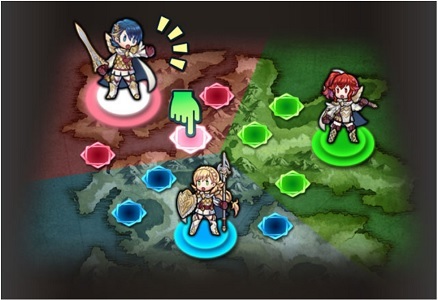 Grand Conquests is a new type of event where three armies, led by Anna, Sharena, and Alfonse, battle to take control of territory. Just like in Rival Domains, you lead a brigade, but this time around your goal is to conquer as many areas as possible within the time limit. Each battle lasts 2 days (44 hours to be precise + 4h preparation period), and is made of 11 rounds that all last 4h. Players are automatically assigned to battlefields (basically, servers), and then to one of the 3 Armies. Each battlefield can only accomodate 200 troops per army, so 600 players (though that number may vary). The army you’ve been assigned to changes at every Battle, just like the area maps. 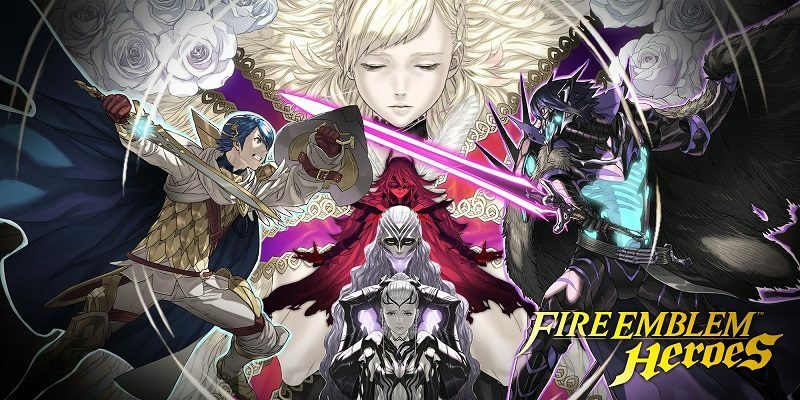 Fire Emblem Heroes – Grand Conquests – How does it work? Before every Battle, you have to create a Brigade, just like in Rival Domains. You do so by tapping the Edit Brigades option in the Allies menu. You need to have 20 Heroes in your Brigade. Enemy brigades have 40 Heroes. Once you’re ready for battle, you have to select an area and deploy your Brigade. You can only do so into areas that border your army and your opponent’s army… no sneaking deep into enemy territory allowed! You can see the current battle conditions in a given area by selecting it. 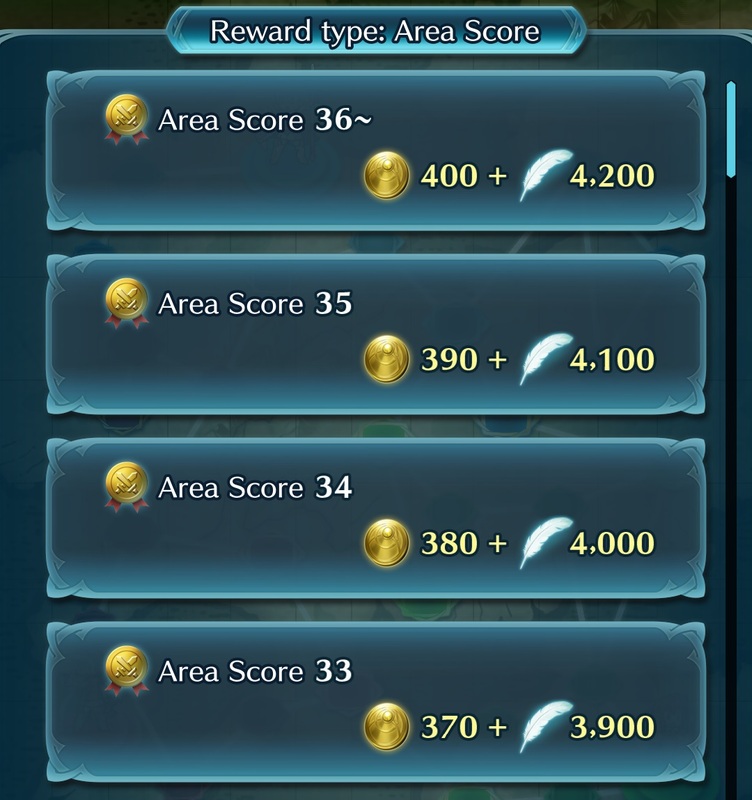 If you’re not sure which area to fight in, then you should choose the one with the “Try this!” icon above it. 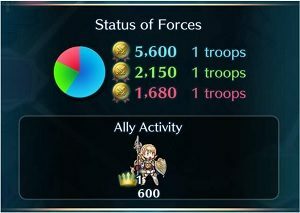 You can also choose one with area effects on adjacent territory, because if you manage to conquer it, it will help your army by activating those effects for you and your allies. 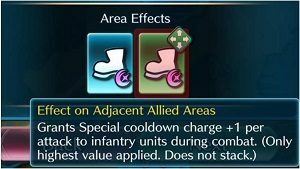 Area effects grant special effects to specific unit types. For example, an area effect can allow armoured units to move an extra space. 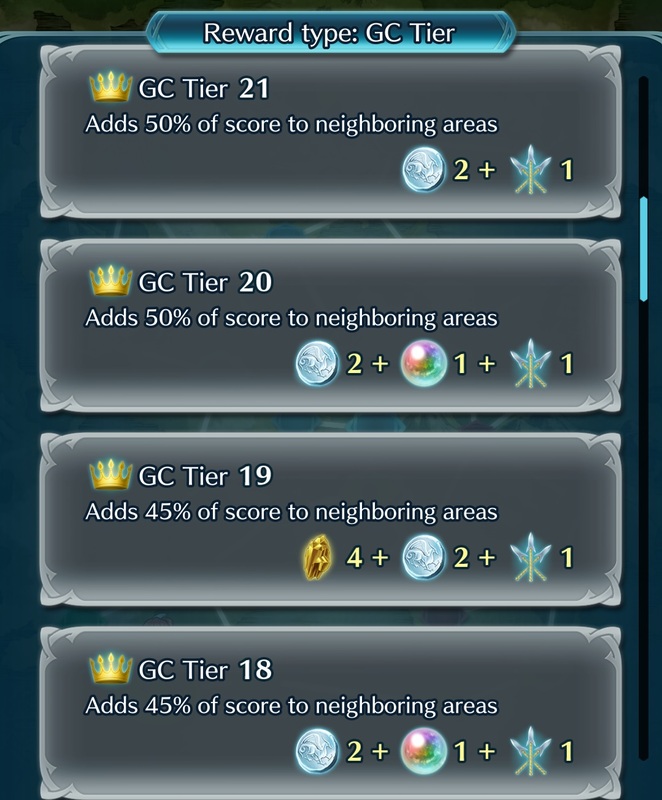 Make sure to take advantage of those by sending the right units to the right area! Speaking of effects, there’s also a common effect on all areas during each of the 3 battles! When a round begins, the army that controls an area begins with 5 000 points, while the armies trying to conquer it starts with… 0. The fewer areas your army controls, the higher the initial defense score at the start of next round. Knockout: if an army’s score exceeds the second place army’s by 200 000 points in a given area, that army conquers the area and keeps it until the end of the round. It’s extremely hard to pull off! 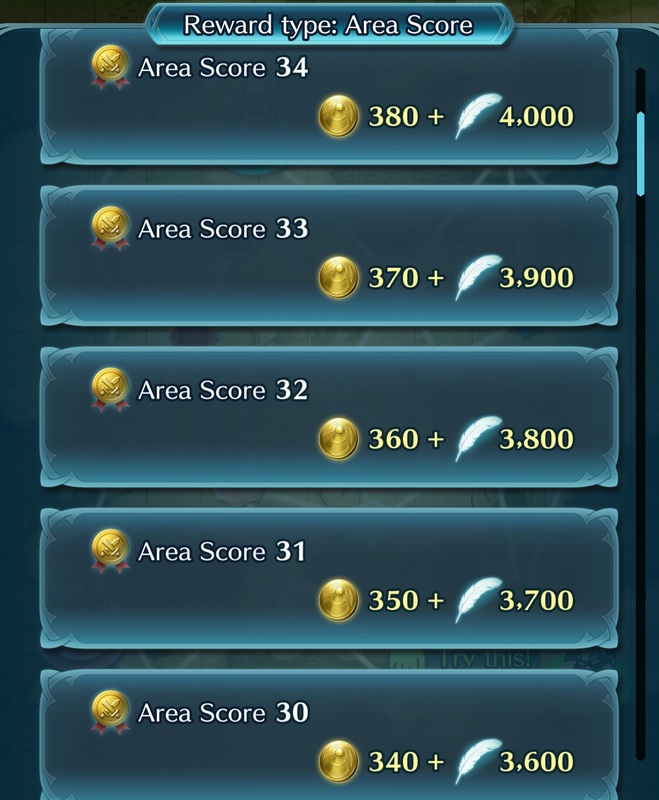 Important note: the points accrued in an area reflect the accumulated battle results of Grand Conquests participants. Therefore, you have to pay attention to where your allies are fighting when you have to decide which area you should battle in. 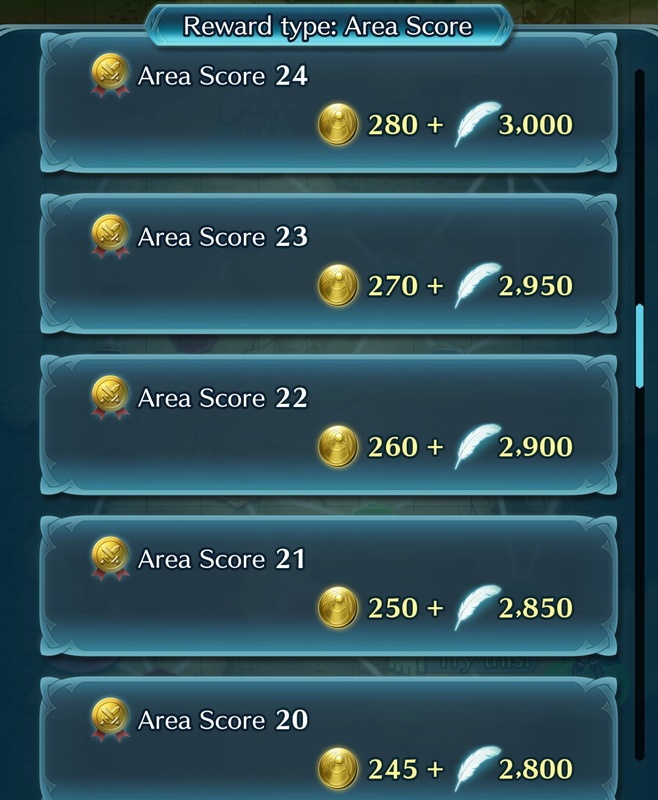 After all, the more players have taken part in battle in a given area, the more points you can get. Of course, if everyone battle in the same area, you take the risk of losing undefended areas… You have to find the right balance, and spread your units accordingly! It’s up to you to decide whether you want to aim for the highest score in one area, or instead try to win in many different areas (less points for each area, but more areas to get points from). 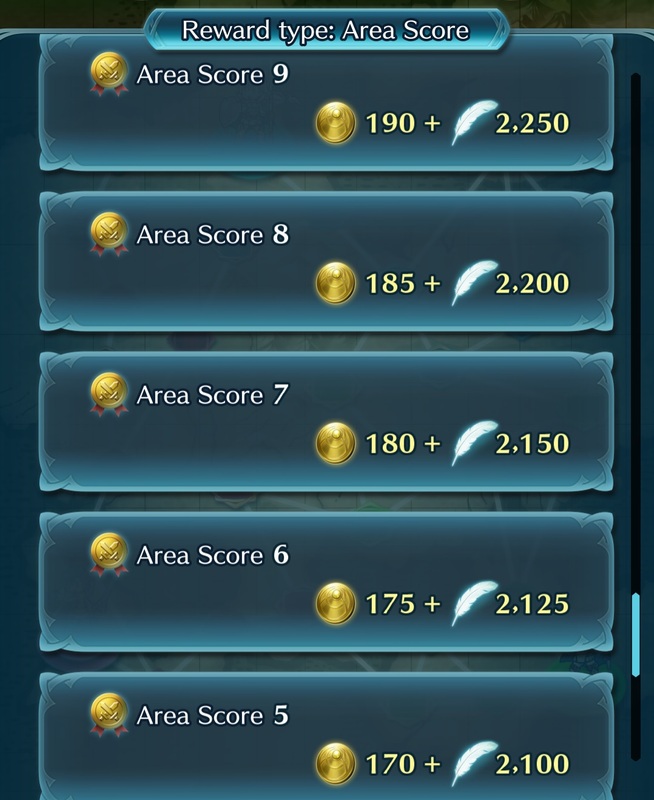 One thing to keep in mind is that deploying units costs stamina, and more precisely Grand Conquests-specific stamina. 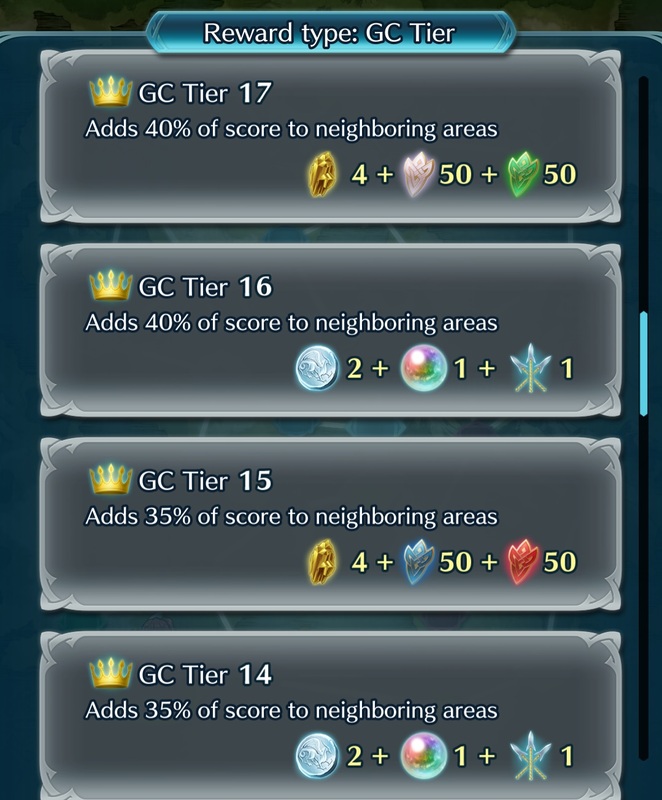 You get 1 Stamina unit per hour, and you can have up to 8 units at a given time. You can also use a Conquest Lance to restore your stamina. 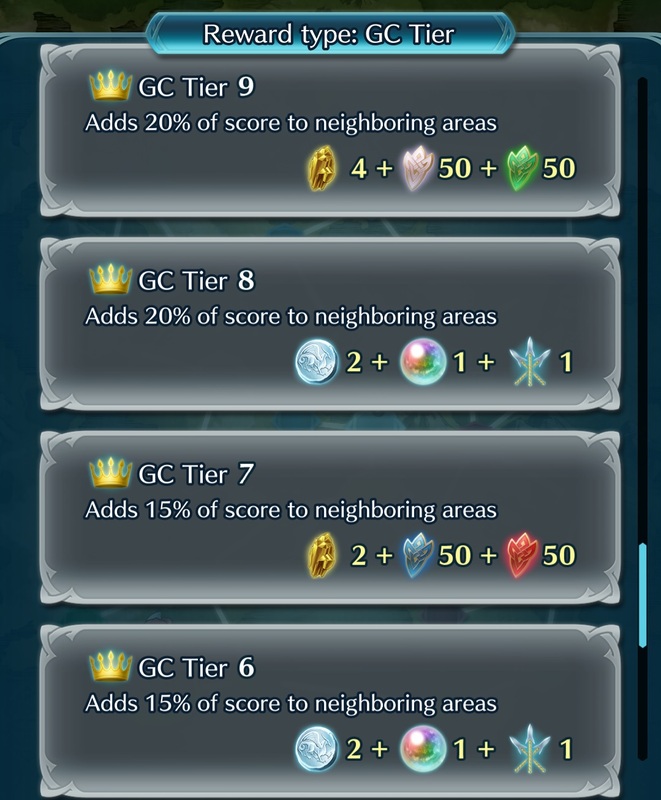 Deploying units costs 1 Stamina unit, but you can also use several of them in order to boost your score (the more units you use, the bigger the boost. For example: 2 units = x2 boost). Foes defeated: the more foes you defeat, the higher your score! Fortress Offense: you get points based on how effectively you attacked your opponent’s fortress. If you’re really too busy to play, you can select “Help Out!” once per round. 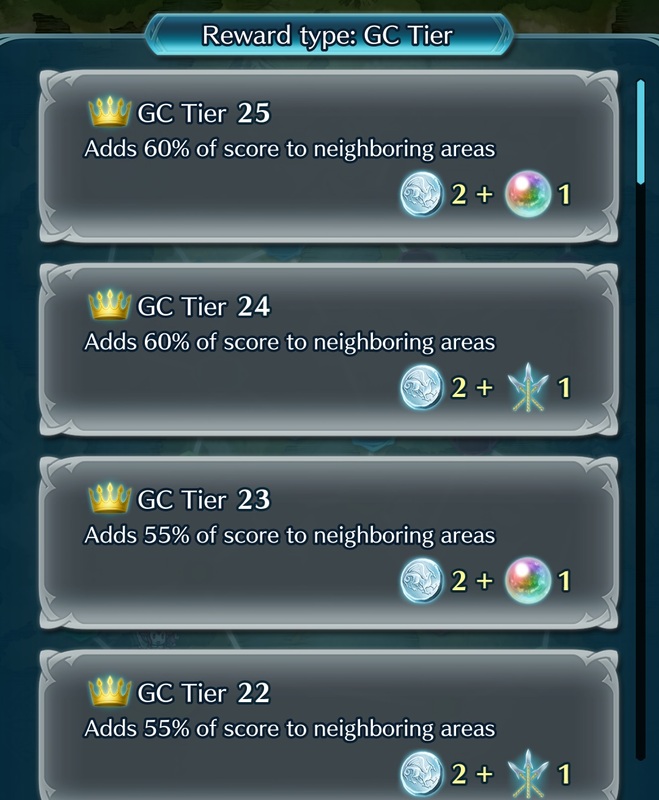 When you do so, points will be given to the area you support, and increases the count of units in battle in that area by 1). You can still earn items that way! Also, if you’re up for a challenge, you can select the Lunatic and Infernal modes, unlocked when you reach GC Tier 4 and 8 respectively.